The first stage of the Colombo City Centre (CCC), in Colombo 2, is scheduled to be opened in December and it would become Sri Lanka’s first hypermall. 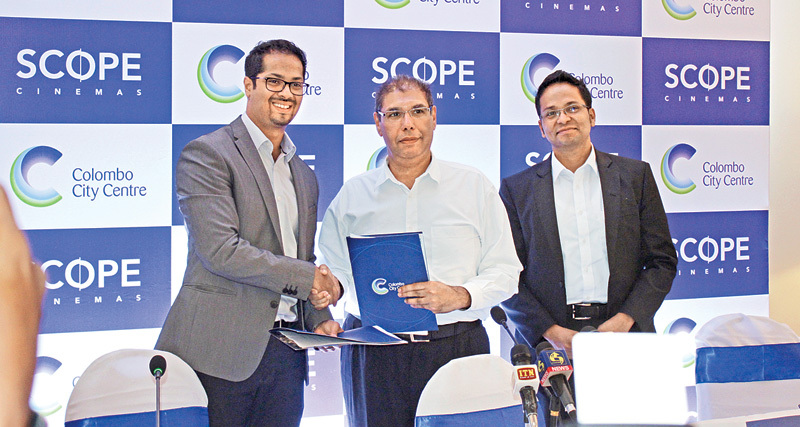 A joint venture between Abans Group and Silver Needle Hospitality, CCC would also offer Sri Lanka’s first and largest six-screen multiplex cinema bringing retail and entertainment of world standards. Rusi Pestonjee, Abans Group Director, said that the second stage of the project would include a 190-room Silver Needle branded 160-room business hotel and 190 apartments. A US$ 170 million project, both the apartments and the hotel would be ready by October 2018. He said that over 70% of the apartments have already been sold, stamping investor confidence for the project. He said that the business hotel would be mainly targetting the high-end business travellers and for the first time it would offer mobile phone-enabled check in (smart booking) and check outs. Commenting on the retail space which will open up in December, he said that some of the world’s top brands would be showcased in it. “With the inclusion of this stunning multiplex cinema, the CCC Mall and its range of high-end retail brands will bring to Sri Lankans cutting-edge cinema entertainment,” he added.